Whats is a Gulet ? A gulet is a very particular hull design for a wooden motor sailing boat that has developed on the Turkish Aegean coast since the early 1900's, shaped by generations of master craftsmen in response to the changing demands of the local boatmen. At first they were fishermen, some were coastal traders, some were sponge divers who all needed different working boats. 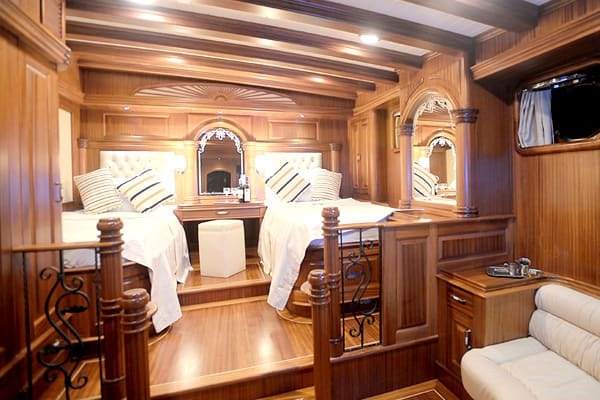 As can be imagined there were quite a variety of designs, but just as the sponge diving and coastal shipping trade died out from the middle of the century up to the 1980's, so did the first boats specifically built for passenger comfort begin to appear. Tourists started to find Bodrum and the delights of the coastline described in the book 'Blue Voyage'. 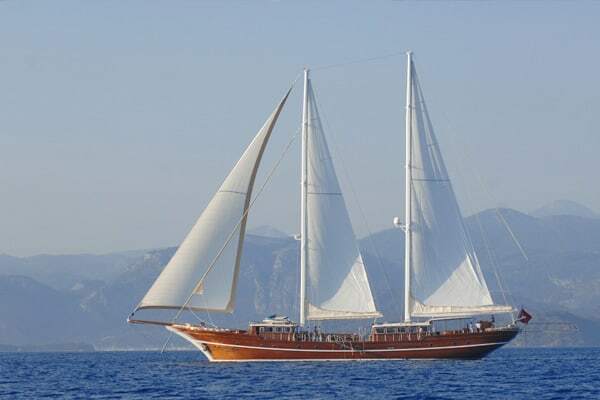 The very distinctive round stern and 'clipper stem' hull type proclaims the now famous 'Bodrum Gulet' which was originally developed by the Bodrum boat builders in response to the need for deck space for cargo and for the boat to cope with the winds and waves of the Aegean and East Mediterranean. They retained the masts and sailing rig at the same time as an economic and navigational necessity. 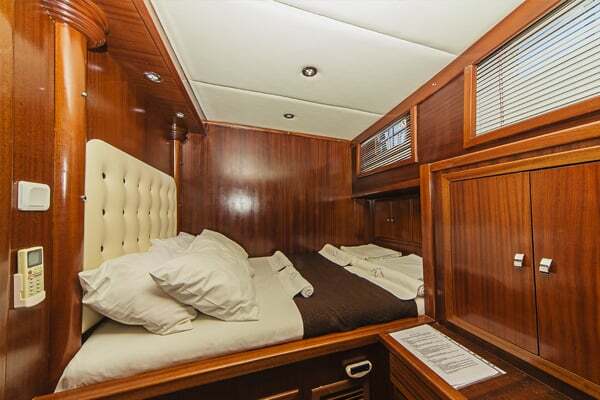 These gulet hulls had a natural elegance and space ideal for adapting to carrying passengers and crew on longer cruises, and each year of boat building since has seen adaptions and developments in building these attractive boats, with new materials, fittings and technology taking them up to a luxurious and sophisticated standard. 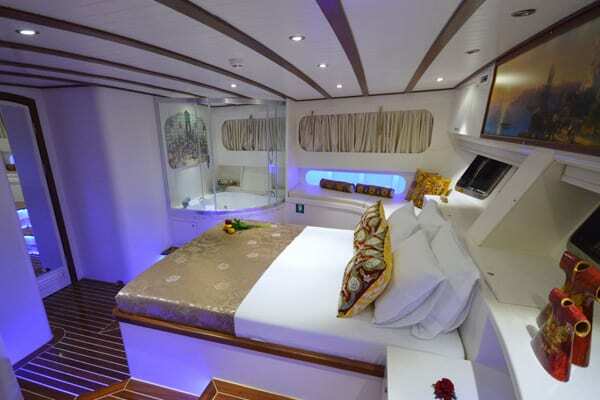 In the new millenia there are now just three types of boats that are used for the Blue Cruise and fall under the label gulets. 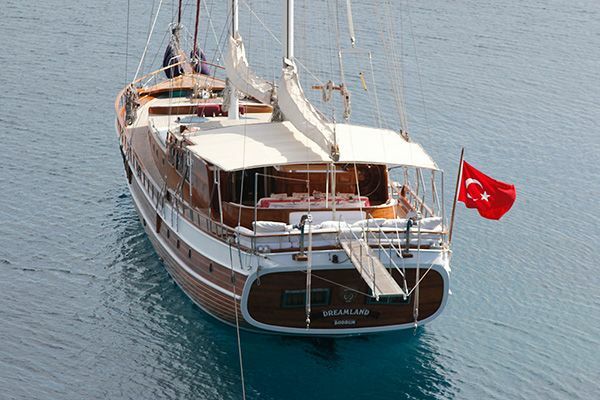 The true gulet has the graceful rounded stern. 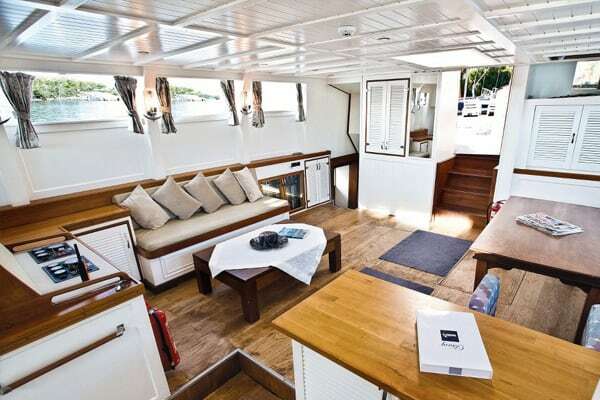 The gulets with the square stern or transom stern are called locally the aynakıç (eye-na-kitch) and are very popular with boat owners as they have more space to carry aft cabins or in the luxurious standard boats the square stern affords the space for a grand master cabin across the width of the stern. The Tirhandil, or more correctly, the tirhandil, is the double-ender boat very typical of the Aegean coast. It was the real workhorse of fishing, sponge diving and transport, and it is claimed that its hull design probably goes back thousands of years. 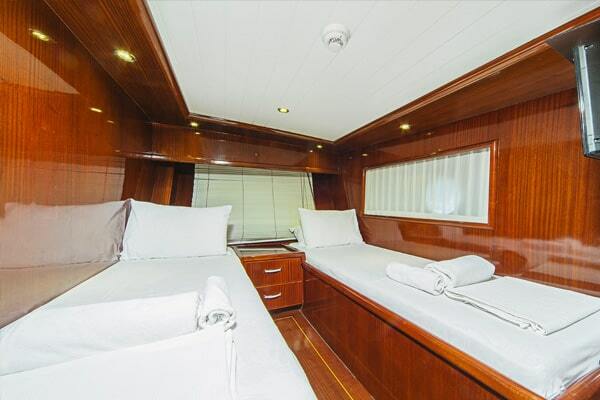 While quite rare amongst Blue Cruise charter yachts they are very comfortable for small groups or couple. 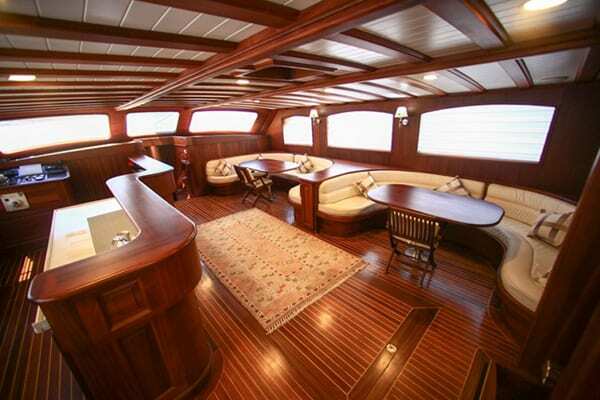 Some well-built Tirhandil's are favoured amongst avid sailors, as the boats perform well under sail. They are being built by some master craftsmen who like to create a beautiful vessel and to compete in the special tırhandil division of the annual Bodrum Cup regatta. Using first sails and later engines, were used in fishing, sponge diving and maritime transportation. Among these old workboats, the type tırhandil, whose design probably goes back thousands of years, is usually the first type to be noticed. One can define it as the Aegean double-ender one type of many, double-enders, but the tırhandil hull type has been nearly the most favored one in the Aegean Sea for centuries. It was once built in great numbers as the industry of sponge diving expanded. 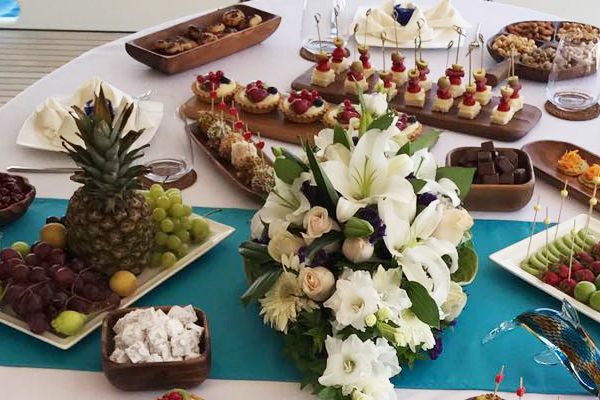 There are still a few tırhandils among the Blue Voyage boats. 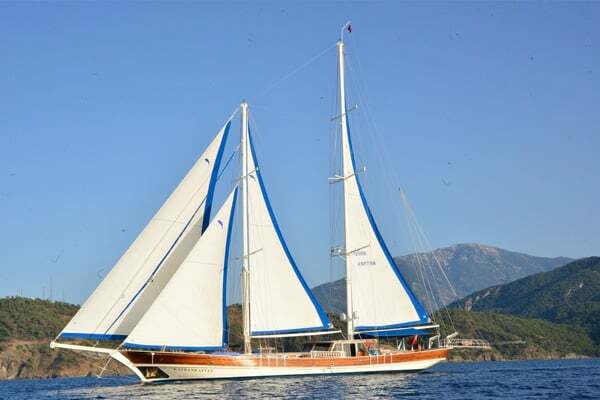 The most famous among the boats of Bodrum is perhaps the gulet (goolet). The term gulet that comes from the same root as the French goélette and the Italian caicco used to define a rig type in the beginning rather than a hull type. 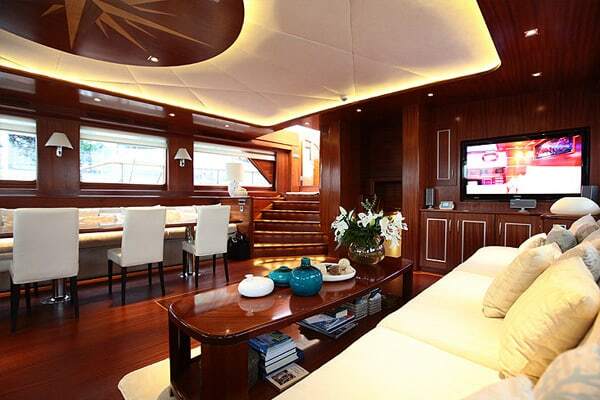 In this regard, it is different from the terms given above, each of which describes a hull type. The gulet once described what the rig term uskuna describes today, that is, the schooner rig (a fore-and-aft rig with two or more masts, the forward mast no taller than the rear masts, using gaff or lug sails or a combination of both). Although the discussions about the origins of this rig type are still not over Its transformation into a hull term probably happened in Turkey. That some of these schooner-rigged boats had rounded sterns was probably the reason for this transformation. 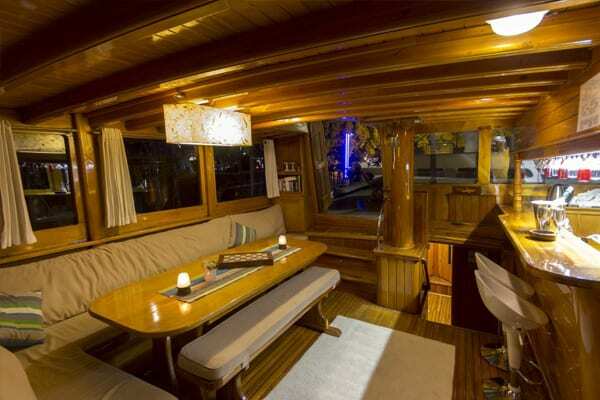 Thus, the term gulet became equivalent to what the Greek term Karavoskaro described, that is, a boat with a rounded stern. 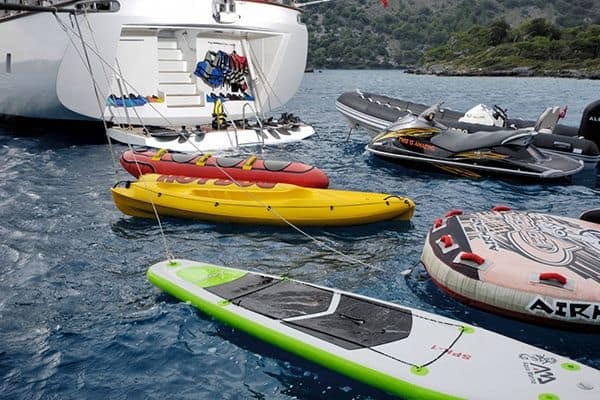 In return, the rig that the term gulet described was named the uskuna. 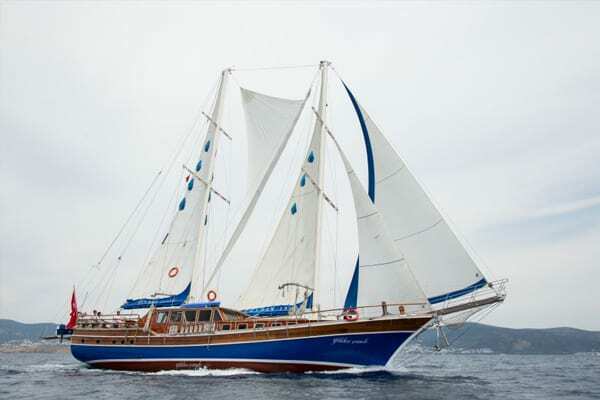 The clipper stem and the round stern are the distinctive features of this hull type described as the Bodrum gulet, the hull type of the famous luxurious Blue Voyage boats of Bodrum. 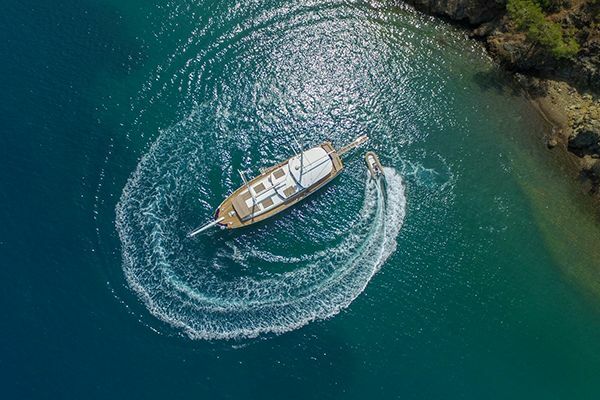 The search for a bigger cargo capacity and the need for a boat able to navigate in the stormy waters of the Aegean Sea, and the Mediterranean, led to this peculiar hull type by the local boat builders. On the other hand, the so-called aynakıç hull form is simply another version of the gulet hull with a square stern rather than a round one. ( sometimes a transom stern) Whereas only the round stern type used to be called gulet in the past, today both types are described as gulets. 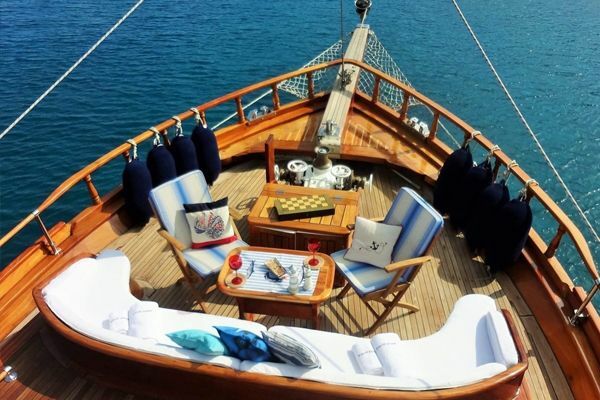 Like the original gulet, the aynakıç version was, too, the result of the search for bigger capacity and larger deck space.